You are here: Home / Make Money Online / Internet Marketing – Information Overload! Internet Marketing – Information Overload! What often ends up happening is that the Internet marketing novice decides to take many paths at once to see which one has the most profit potential. This is a mistake, because their attention is divided and no one venture ever becomes monetized. The result is that they give up, soured on the entire Internet marketing experience when all it would take to correct the mistake is focus and follow through. Those who are in the niche of teaching newbies how to proceed from zero to profits in the blink of an eye often recommend they buy this product and that one to get started. Then once they map out one step, they move on to the next. After the Internet marketing prospect has consumed the benefits of the free information on the ‘net, they should then be instructed to invest in only one product at a time – something truly valuable to the reader that will further their success. It should be an item that contains information not routinely spelled out for free on the ‘net. Part of the problem stems from the true and false claims alike that are emitted from website after website, giving the Internet marketer the hunger and desire to emulate the site owner’s success. 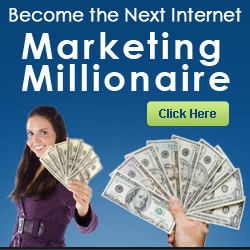 They see one person who made $1 million in one day and they, too, want to do that! Then they land on a page where one guy makes $500 per day on one minisite, and they follow that path, too. Instead of allowing yourself to fall victim to information overload in the Internet marketing world, make sure you put blinders on and stay in touch with one aspect of the marketing field at a time. Eventually, you’ll learn how everything works, but don’t let anyone fool you into thinking one product or person has all the answers. It’s a combination of lessons that will eventually lead to your profit stream.